The popular Sanrio Character Pyoko Noru toy line is releasing a new series of cute products on February 6 at all Sanrio shops in Japan as well on the Sanrio online shop at department stores. Pyoko Noru are 7cm-10cm tall toys that first arrived in 2016. The first line of this cute dangling series arrived in October of the same year with 14 characters. The second range was a pastel themed line which was released in February 2017, and after that nine new characters were added in May of the same year. 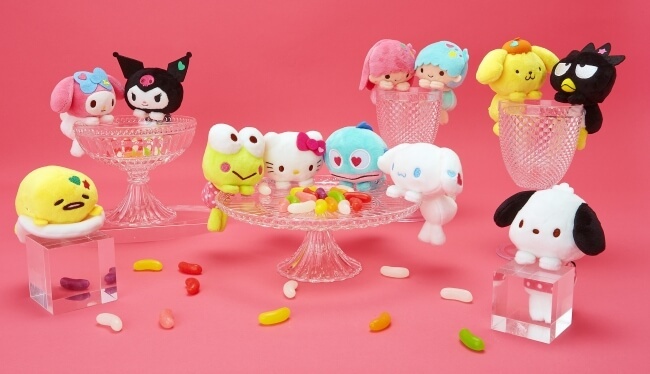 Now fans of Sanrio’s iconic cast can get their hands on Hello Kitty, the Little Twin Stars and more in the first new batch of toys in the series in a year and a half. Their vivid colours make them irresistibly Instagrammable. Pick your favourite and dangle them from a surface of your choosing, even your desk as you work!